and Tara Ford from TBWA. "I’m looking forward to seeing the full ￼potential of the group in Melbourne," Little says. DDB Group Melbourne has appointed Karen Dwyer as its chief strategy officer, completing its new leadership team. The move follows the hire of Stuart Turner as ECD and Kate Sterling as group MD in 2017. The leadership team work across the DDB, Tribal and Track agency brands. 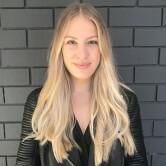 Dwyer joins DDB after several years in New York, where she most recently consulted in-house with brands, private equity and agencies for clients such as Etihad Airways, Macy’s and HP. 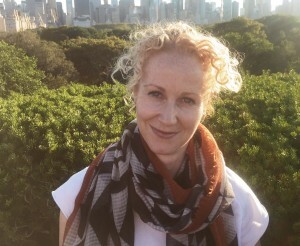 Prior to that she held senior strategy positions at BBDO and R/GA NY, leading brand and digital transformation projects for Visa, Victoria’s Secret and Tiffany & Co.
“Karen is a brilliant fit for us. Her background in some of the world’s leading brand and digital agencies is quite unique,” DDB Group Melbourne MD Kate Sterling says. DDB Group Australia CEO Andrew Little says the Melbourne Group is prepped for further growth this year following last year’s transformation of its businesses. When Appel departed last year DDB told AdNews it was unsure if it would look for an external candidate or Sterling would absorb his role. Little says the agency is opting for a more integrated structure with its new leadership team in place. DDB has been attracting some big names in the last 12 months with David Joubert joining from Y&R and Tara Ford from TBWA.